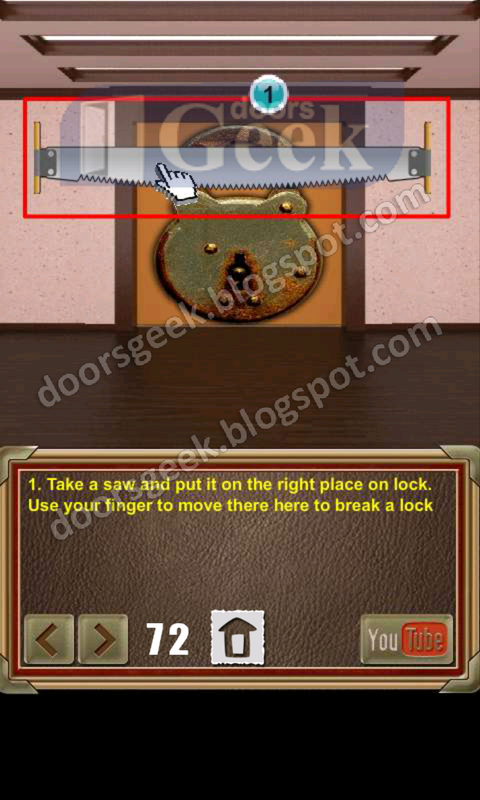 Take the KEY and open the doors with it. 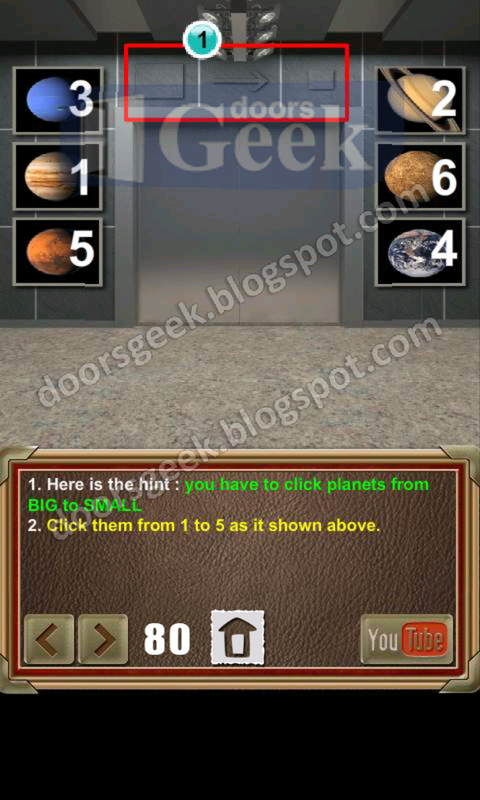 100 Doors of Revenge [Level 90] Answer, Cheats, Solution for Android, iPhone, iPad, iPod. 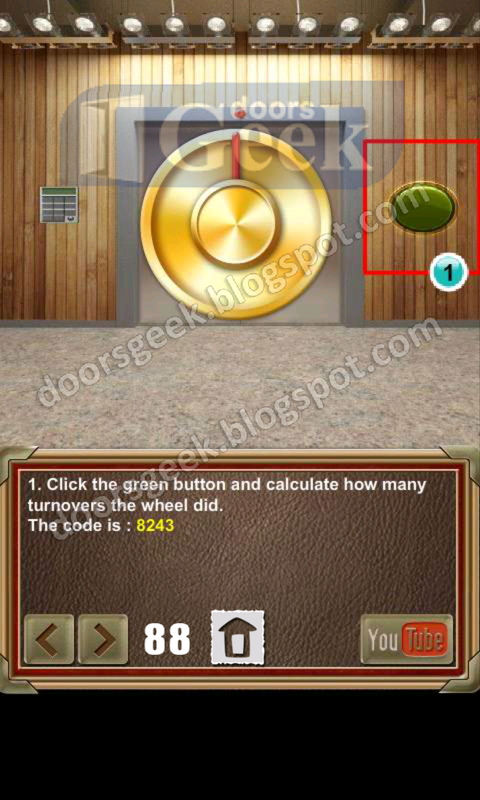 100 Doors of Revenge [Level 89] Answer, Cheats, Solution for Android, iPhone, iPad, iPod. 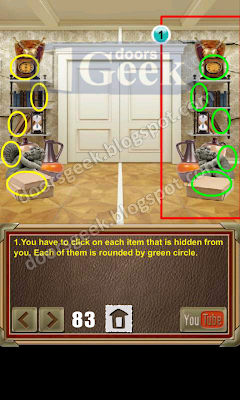 100 Doors of Revenge [Level 88] Answer, Cheats, Solution for Android, iPhone, iPad, iPod. 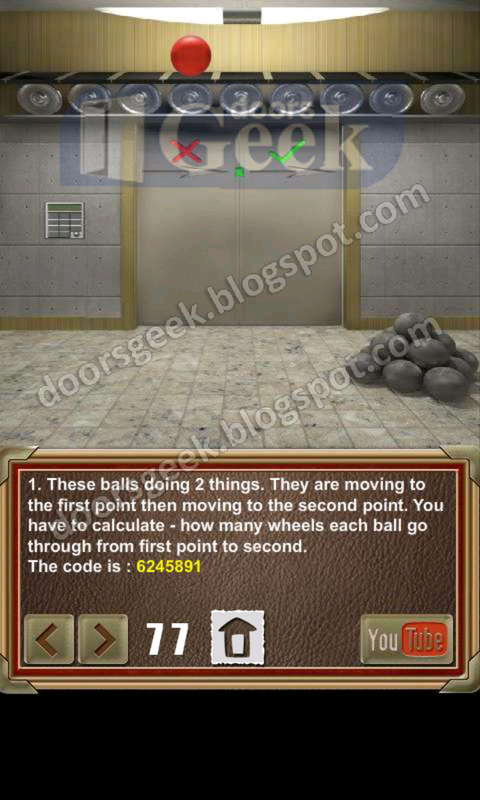 100 Doors of Revenge [Level 87] Answer, Cheats, Solution for Android, iPhone, iPad, iPod. 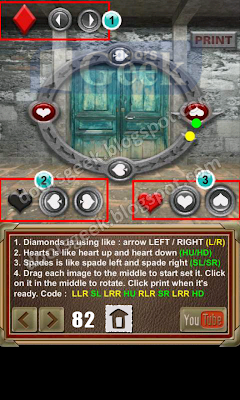 100 Doors of Revenge [Level 86] Answer, Cheats, Solution for Android, iPhone, iPad, iPod. 100 Doors of Revenge [Level 85] Answer, Cheats, Solution for Android, iPhone, iPad, iPod. 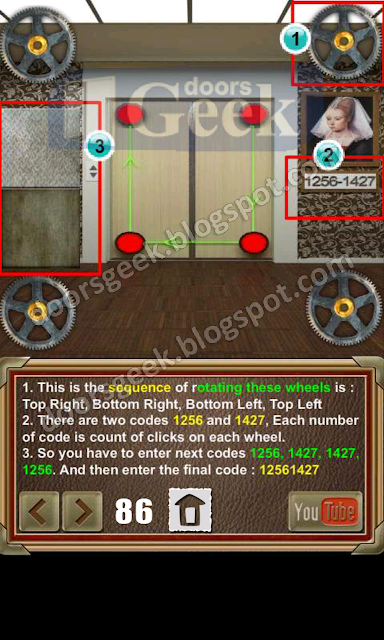 100 Doors of Revenge [Level 84] Answer, Cheats, Solution for Android, iPhone, iPad, iPod. 100 Doors of Revenge [Level 83] Answer, Cheats, Solution for Android, iPhone, iPad, iPod. 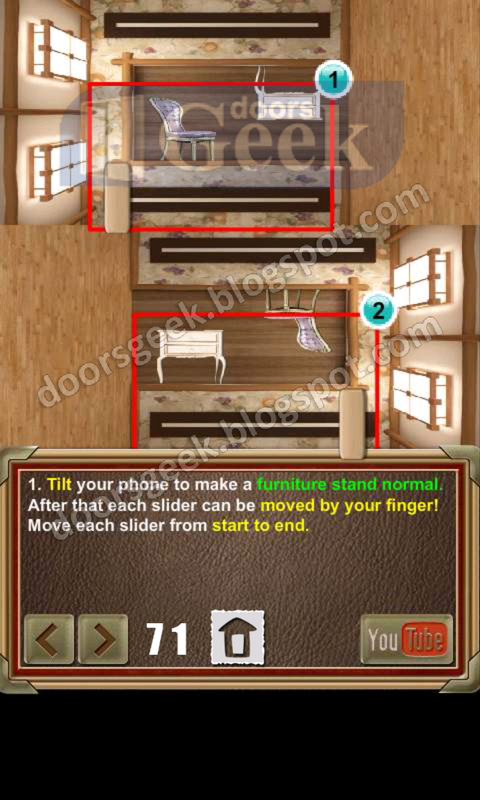 100 Doors of Revenge [Level 82] Answer, Cheats, Solution for Android, iPhone, iPad, iPod. 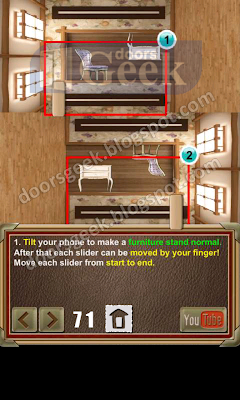 100 Doors of Revenge [Level 81] Answer, Cheats, Solution for Android, iPhone, iPad, iPod. 100 Doors of Revenge [Level 80] Answer, Cheats, Solution for Android, iPhone, iPad, iPod. 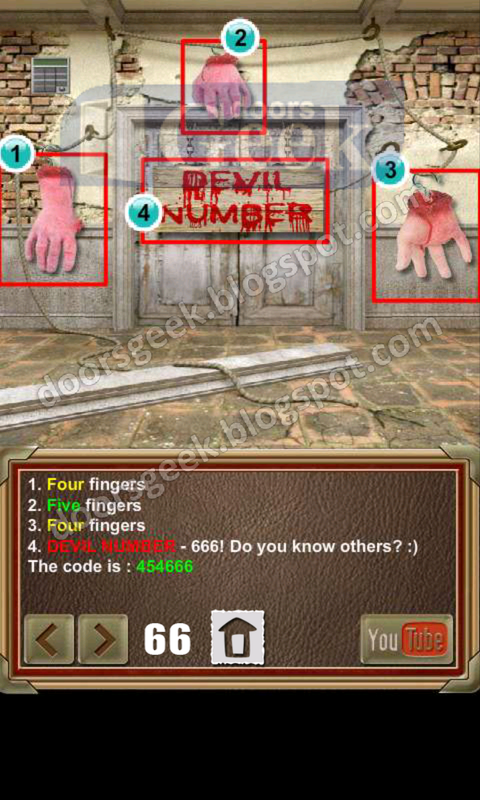 These numbers are changing every 1 second 4-5 times. 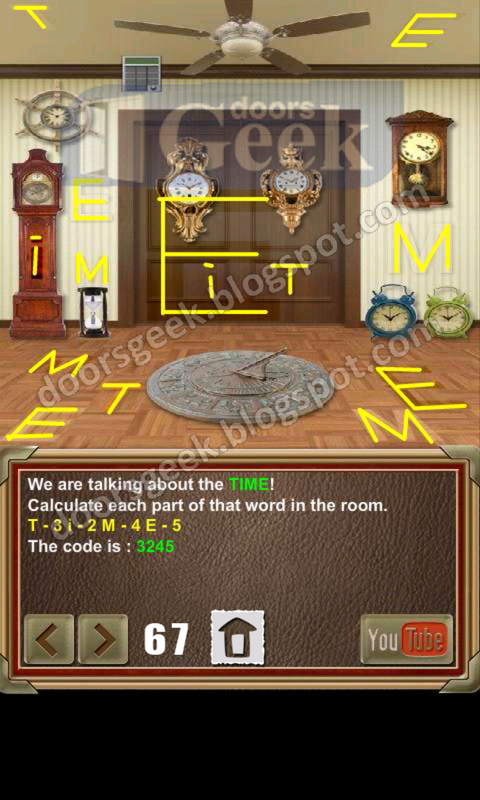 then they stop for 5 seconds. 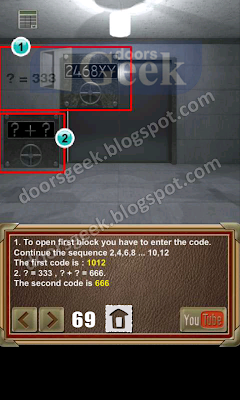 You have to enter the numbers that are currently shown to you. 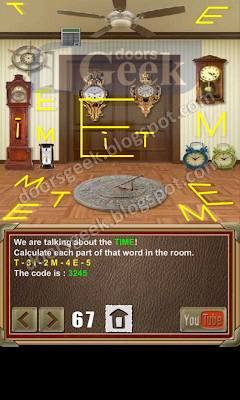 If you do not have a time to enter them, wait again. 100 Doors of Revenge [Level 79] Answer, Cheats, Solution for Android, iPhone, iPad, iPod. Now TILT the phone on the right or left to move the ball to the right border. 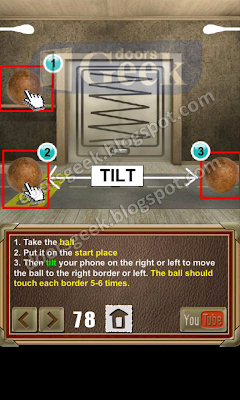 The ball must touch each border 5-6 times. 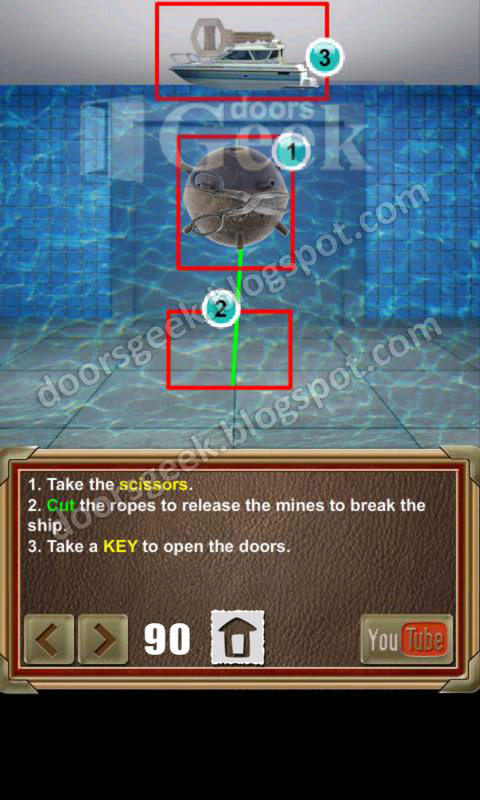 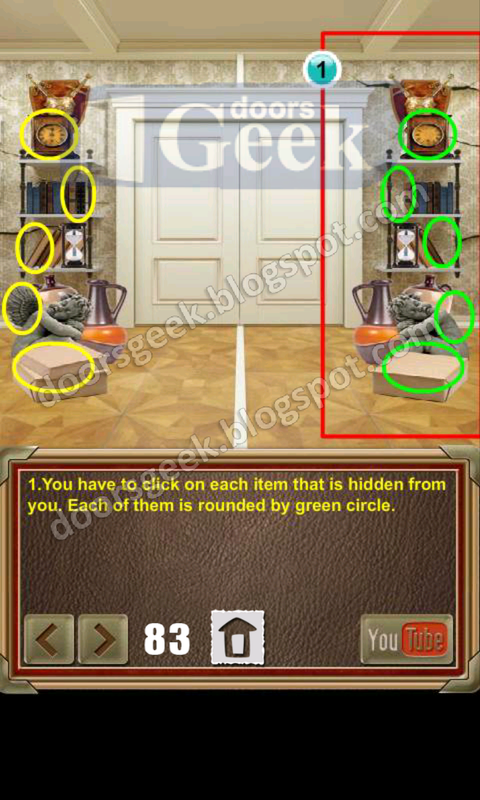 100 Doors of Revenge [Level 78] Answer, Cheats, Solution for Android, iPhone, iPad, iPod. 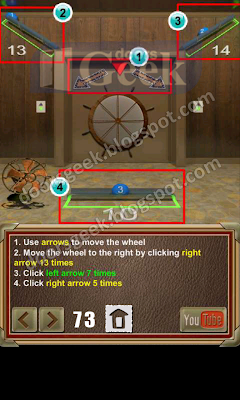 100 Doors of Revenge [Level 77] Answer, Cheats, Solution for Android, iPhone, iPad, iPod. 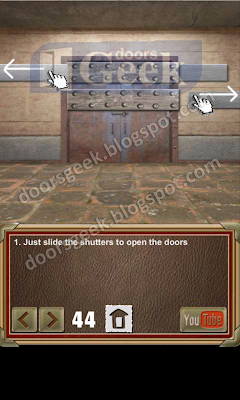 100 Doors of Revenge [Level 76] Answer, Cheats, Solution for Android, iPhone, iPad, iPod. 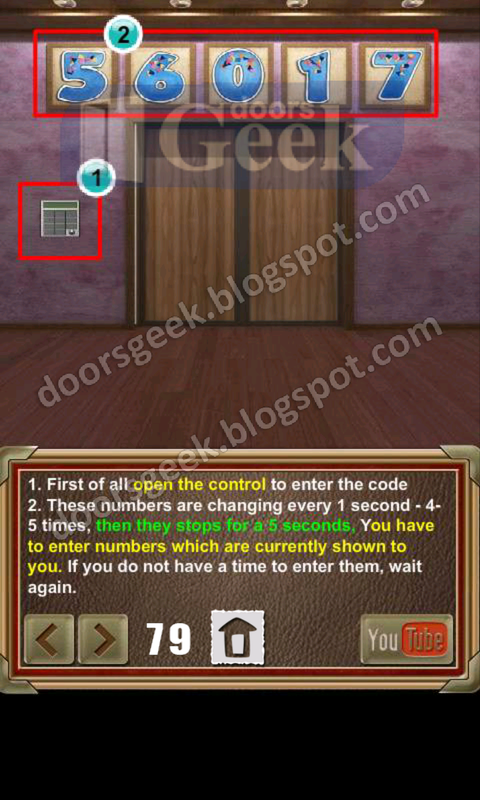 100 Doors of Revenge [Level 75] Answer, Cheats, Solution for Android, iPhone, iPad, iPod. 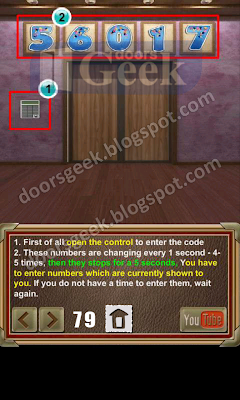 100 Doors of Revenge [Level 74] Answer, Cheats, Solution for Android, iPhone, iPad, iPod. 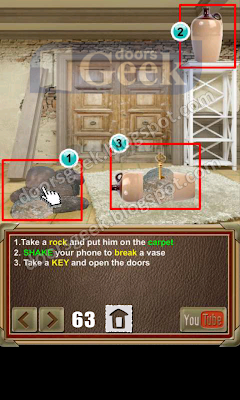 100 Doors of Revenge [Level 73] Answer, Cheats, Solution for Android, iPhone, iPad, iPod. 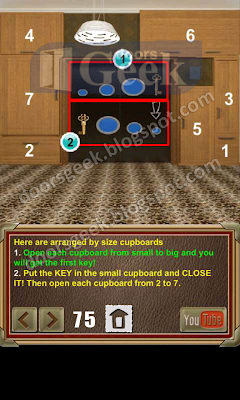 100 Doors of Revenge [Level 72] Answer, Cheats, Solution for Android, iPhone, iPad, iPod. 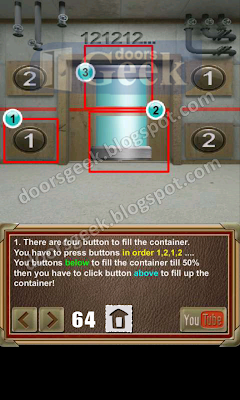 100 Doors of Revenge [Level 71] Answer, Cheats, Solution for Android, iPhone, iPad, iPod. 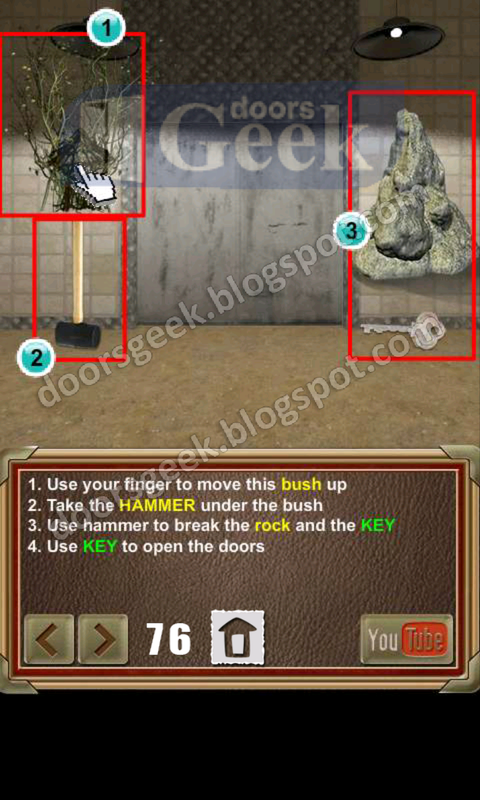 100 Doors of Revenge [Level 70] Answer, Cheats, Solution for Android, iPhone, iPad, iPod. 100 Doors of Revenge [Level 69] Answer, Cheats, Solution for Android, iPhone, iPad, iPod. 100 Doors of Revenge [Level 68] Answer, Cheats, Solution for Android, iPhone, iPad, iPod. 100 Doors of Revenge [Level 67] Answer, Cheats, Solution for Android, iPhone, iPad, iPod. 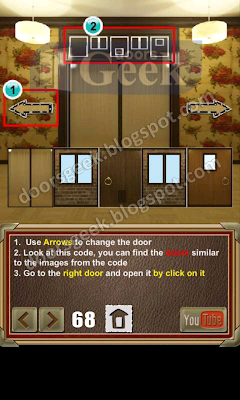 100 Doors of Revenge [Level 66] Answer, Cheats, Solution for Android, iPhone, iPad, iPod. 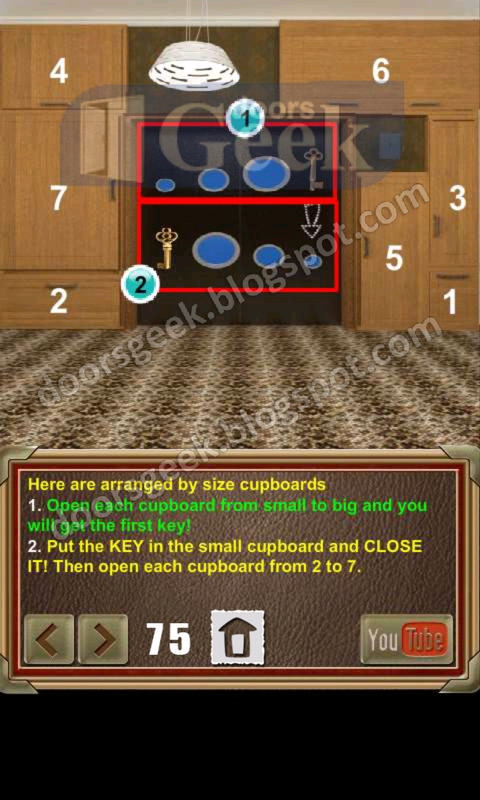 100 Doors of Revenge [Level 65] Answer, Cheats, Solution for Android, iPhone, iPad, iPod. 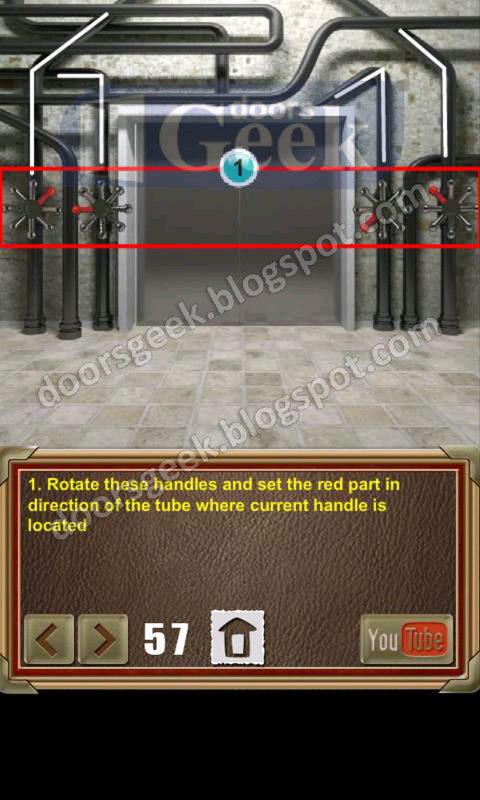 100 Doors of Revenge [Level 64] Answer, Cheats, Solution for Android, iPhone, iPad, iPod. 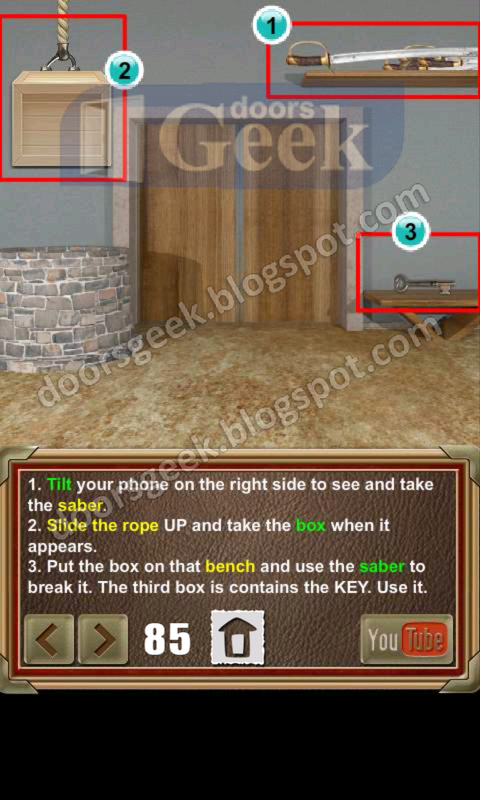 100 Doors of Revenge [Level 63] Answer, Cheats, Solution for Android, iPhone, iPad, iPod. 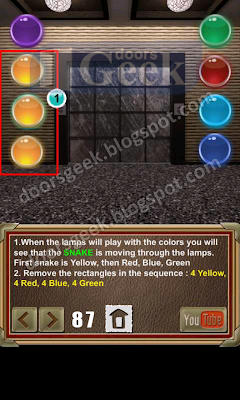 100 Doors of Revenge [Level 62] Answer, Cheats, Solution for Android, iPhone, iPad, iPod. 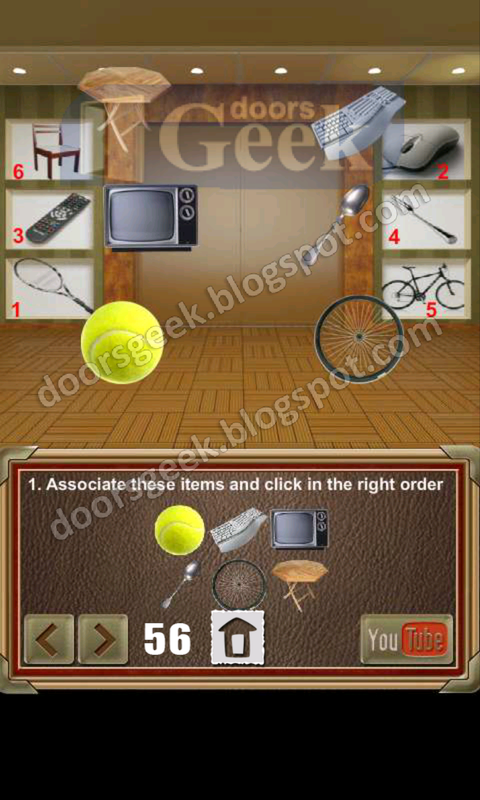 100 Doors of Revenge [Level 61] Answer, Cheats, Solution for Android, iPhone, iPad, iPod. Just put the numbers as is shown in the picture. 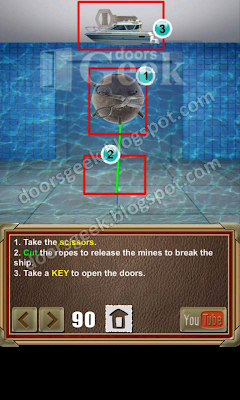 100 Doors of Revenge [Level 60] Answer, Cheats, Solution for Android, iPhone, iPad, iPod. The 2t > 6kg > 5kg > 3kg. 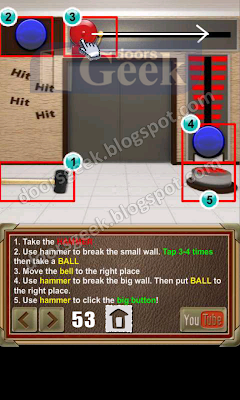 100 Doors of Revenge [Level 59] Answer, Cheats, Solution for Android, iPhone, iPad, iPod. 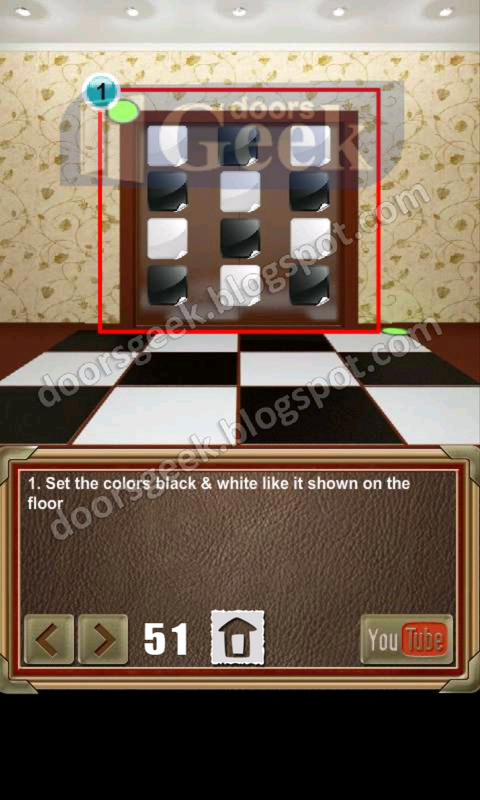 100 Doors of Revenge [Level 58] Answer, Cheats, Solution for Android, iPhone, iPad, iPod. 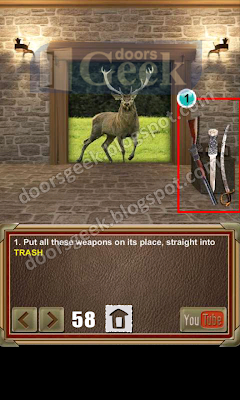 100 Doors of Revenge [Level 57] Answer, Cheats, Solution for Android, iPhone, iPad, iPod. 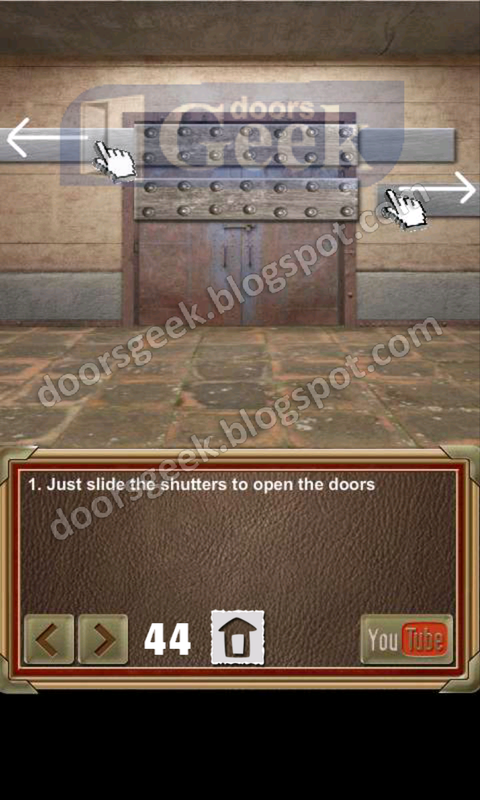 100 Doors of Revenge [Level 56] Answer, Cheats, Solution for Android, iPhone, iPad, iPod. 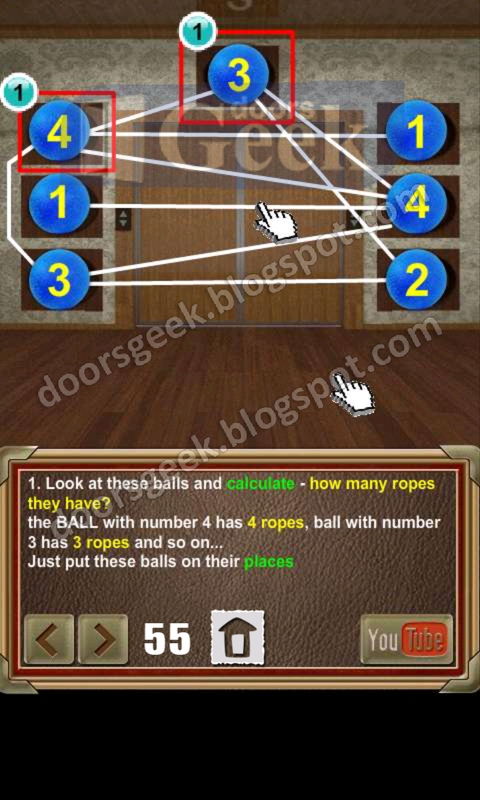 Look at these balls and calculate how many ropes they have. 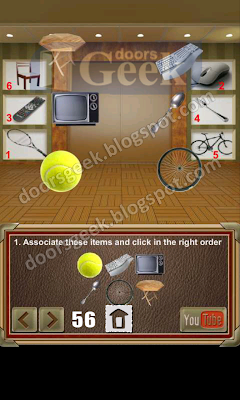 100 Doors of Revenge [Level 55] Answer, Cheats, Solution for Android, iPhone, iPad, iPod. 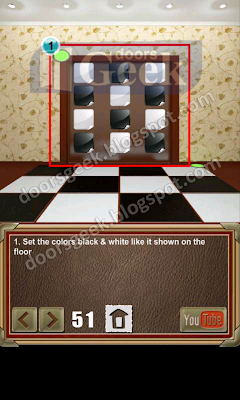 100 Doors of Revenge [Level 54] Answer, Cheats, Solution for Android, iPhone, iPad, iPod. 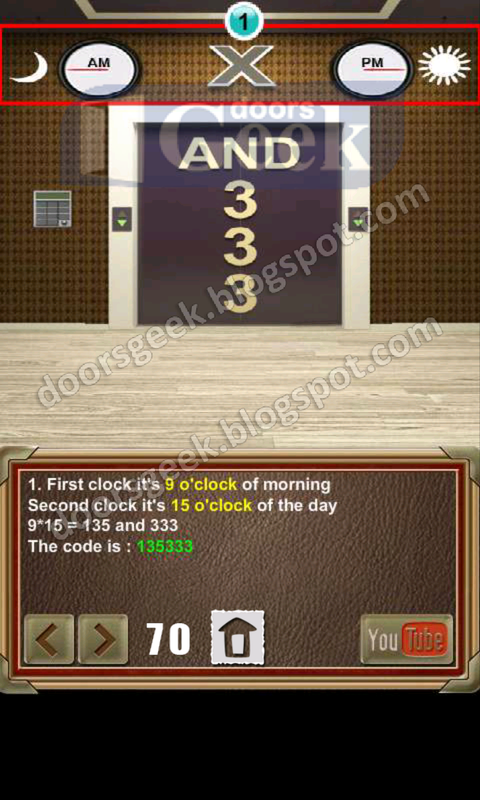 100 Doors of Revenge [Level 53] Answer, Cheats, Solution for Android, iPhone, iPad, iPod. 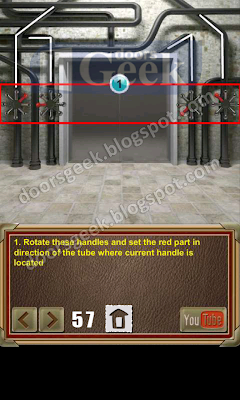 100 Doors of Revenge [Level 52] Answer, Cheats, Solution for Android, iPhone, iPad, iPod. 100 Doors of Revenge [Level 51] Answer, Cheats, Solution for Android, iPhone, iPad, iPod. 100 Doors of Revenge [Level 50] Answer, Cheats, Solution for Android, iPhone, iPad, iPod. 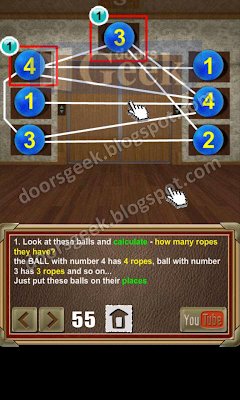 100 Doors of Revenge [Level 49] Answer, Cheats, Solution for Android, iPhone, iPad, iPod. 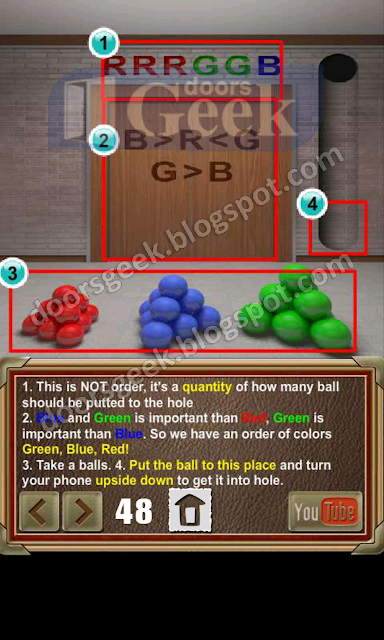 Put the ball to this place and turn your phone upside down to put it inside the hole. 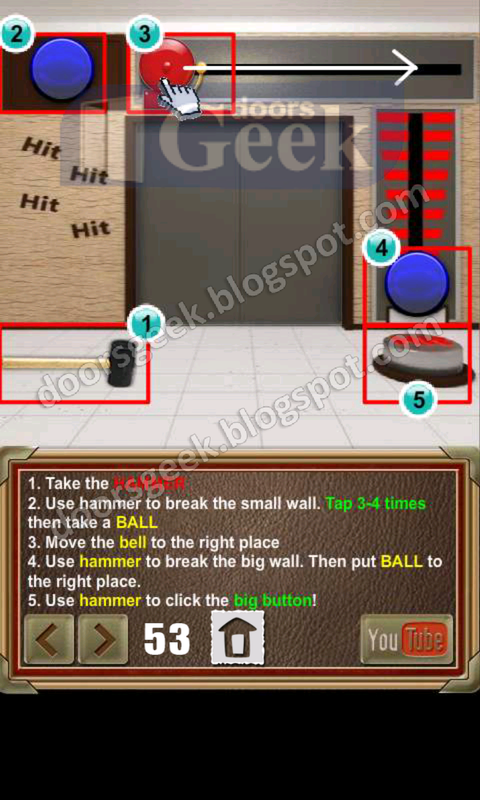 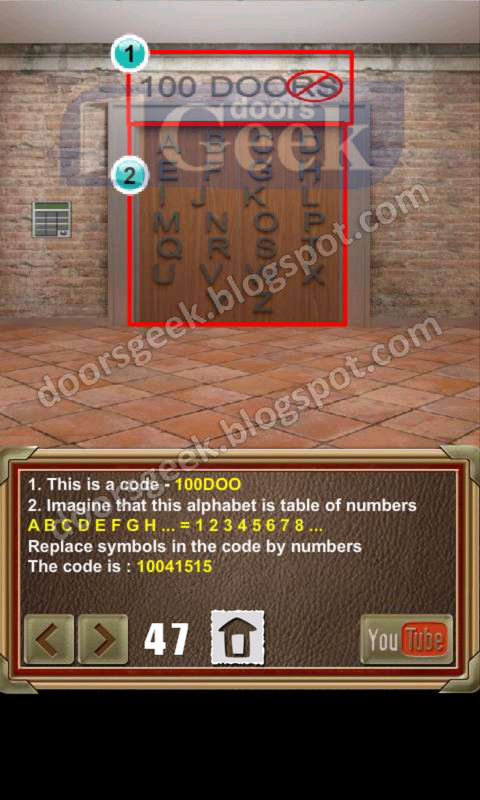 100 Doors of Revenge [Level 48] Answer, Cheats, Solution for Android, iPhone, iPad, iPod. 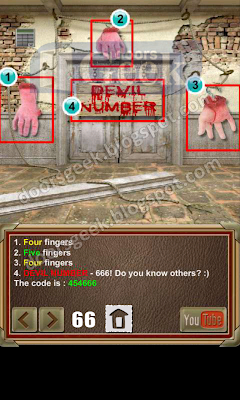 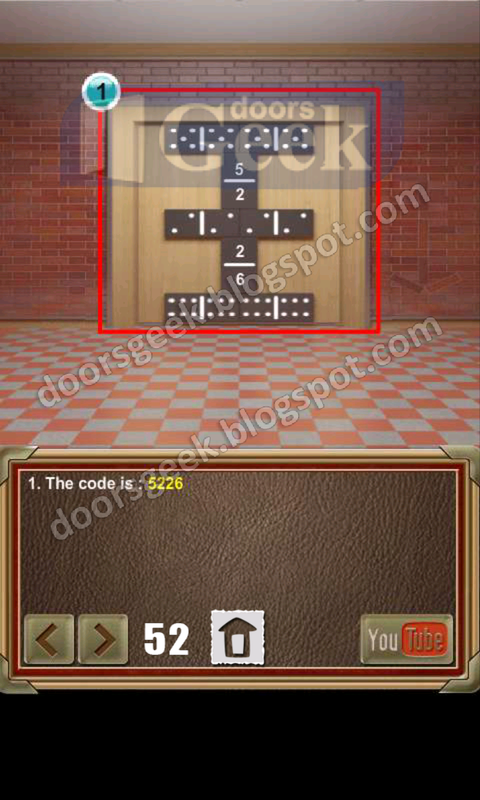 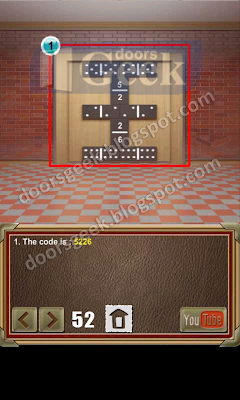 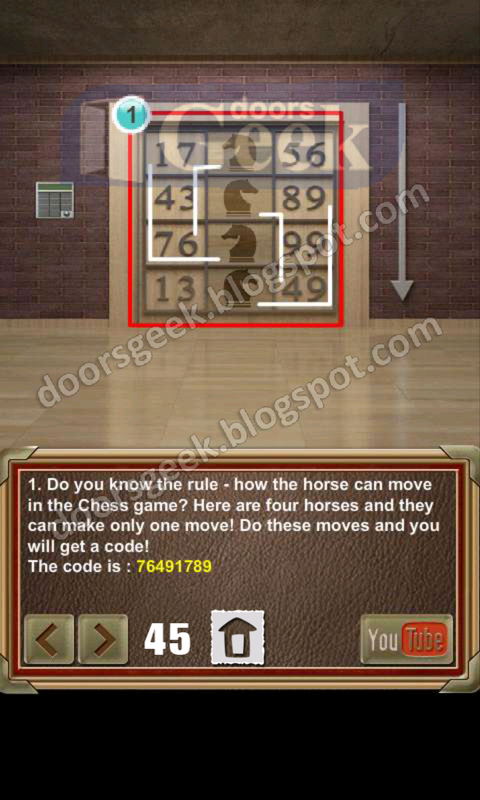 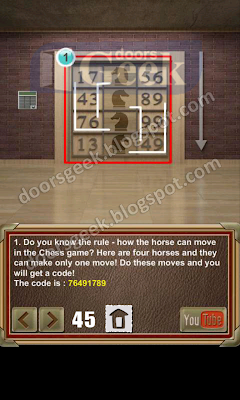 100 Doors of Revenge [Level 47] Answer, Cheats, Solution for Android, iPhone, iPad, iPod. 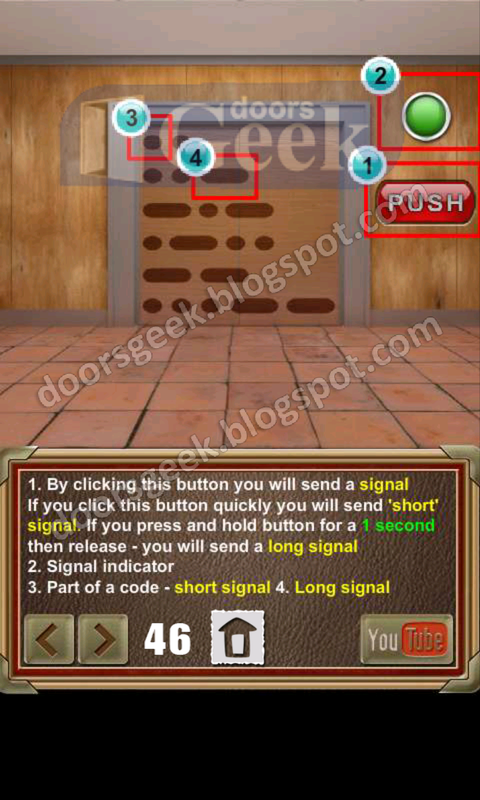 By tapping this button you will send a signal. 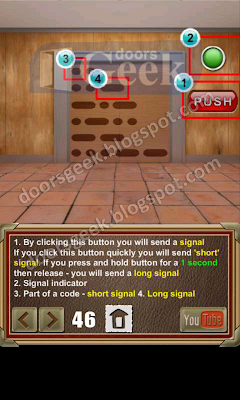 If you tap the button quickly you will send "short signal". 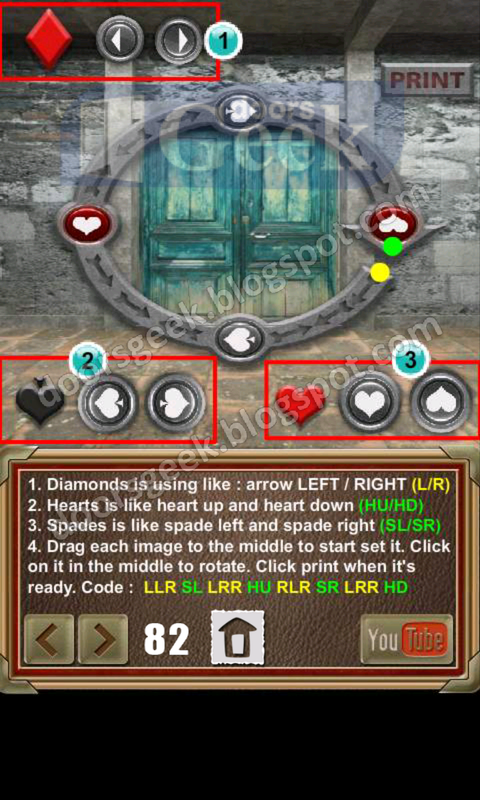 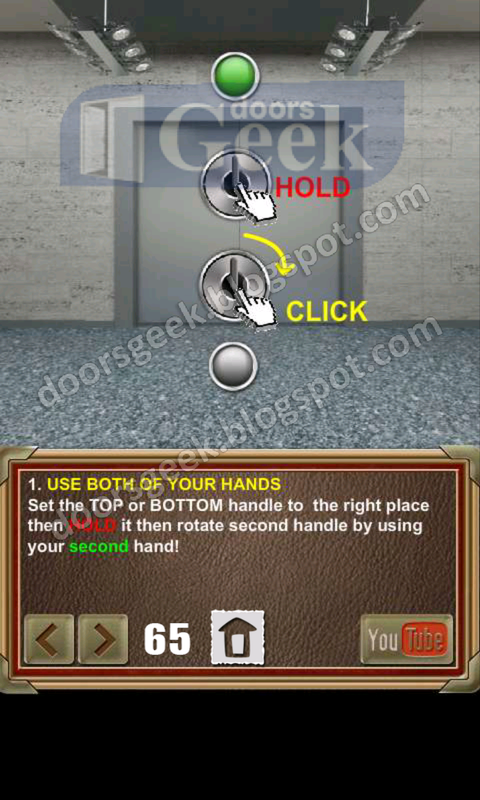 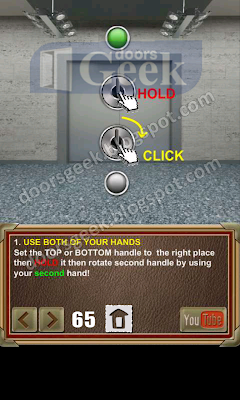 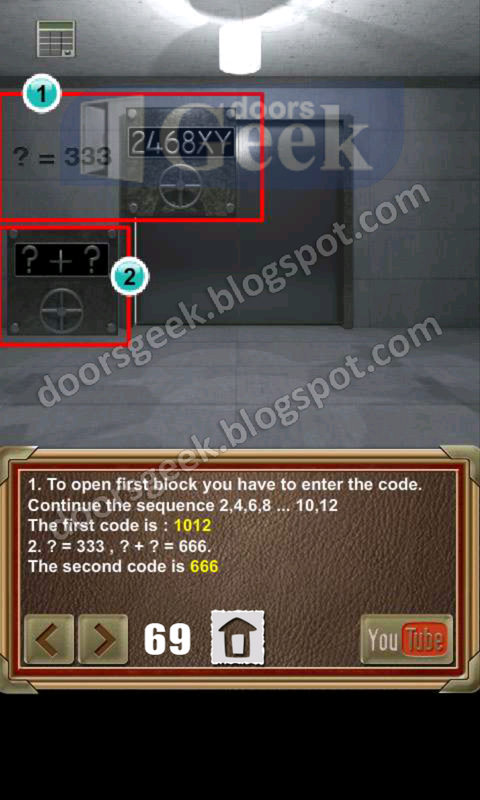 If you press and hold the button for 1 second and release it, you will send a "long signal"
100 Doors of Revenge [Level 46] Answer, Cheats, Solution for Android, iPhone, iPad, iPod. 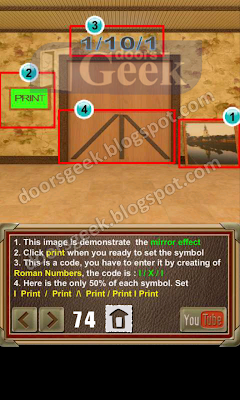 100 Doors of Revenge [Level 45] Answer, Cheats, Solution for Android, iPhone, iPad, iPod. 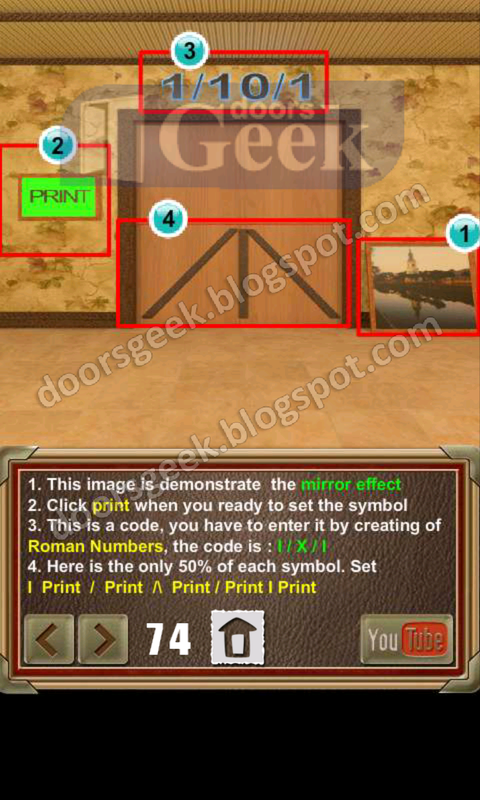 100 Doors of Revenge [Level 44] Answer, Cheats, Solution for Android, iPhone, iPad, iPod. 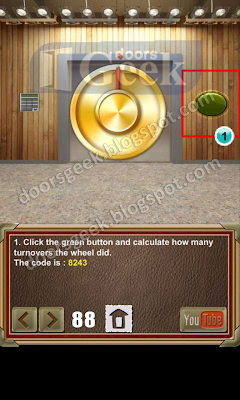 100 Doors of Revenge [Level 43] Answer, Cheats, Solution for Android, iPhone, iPad, iPod. 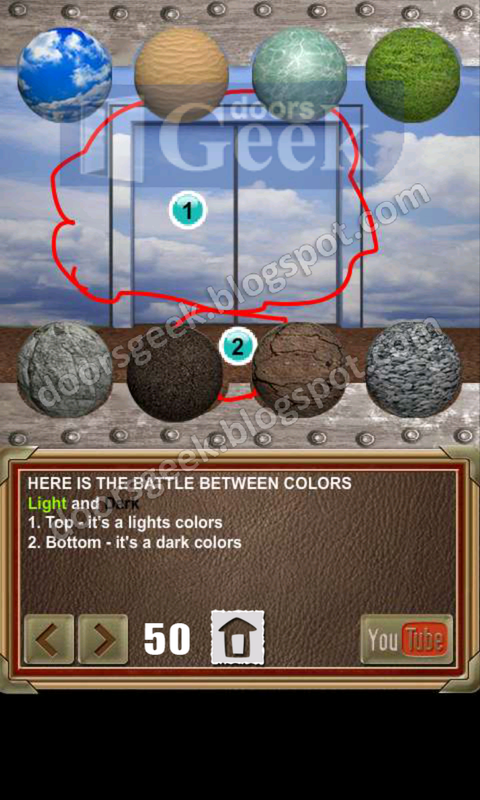 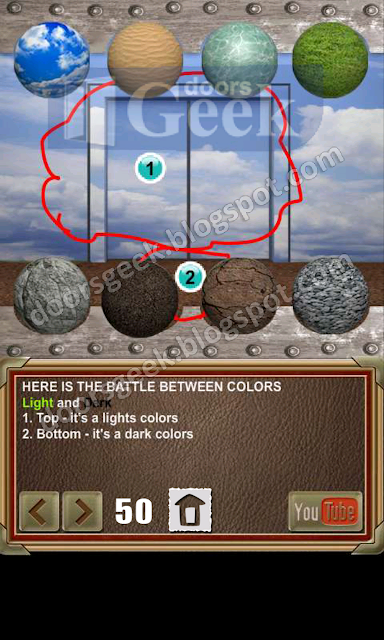 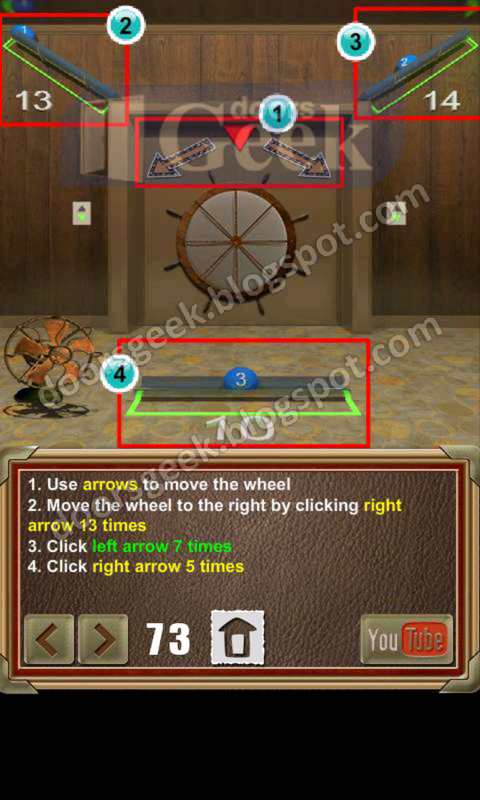 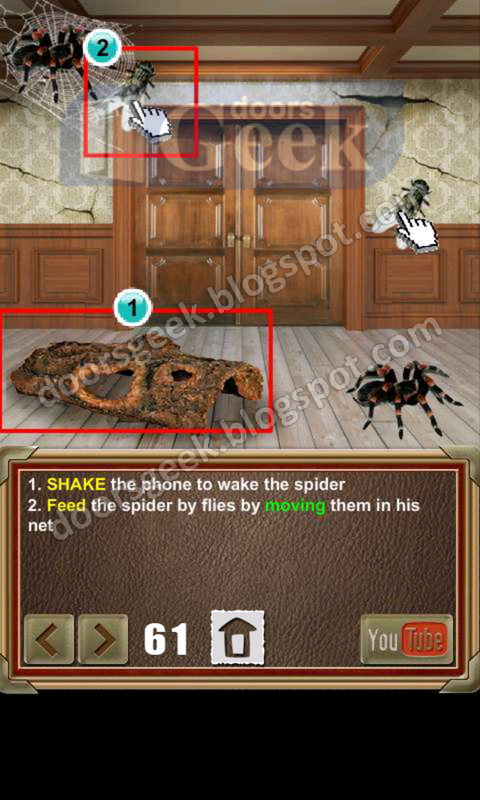 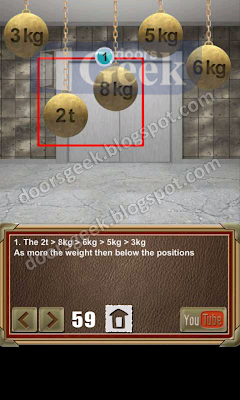 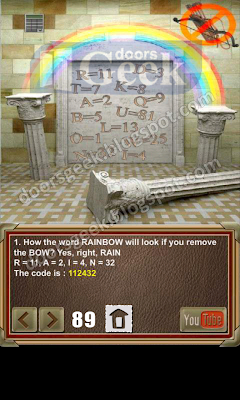 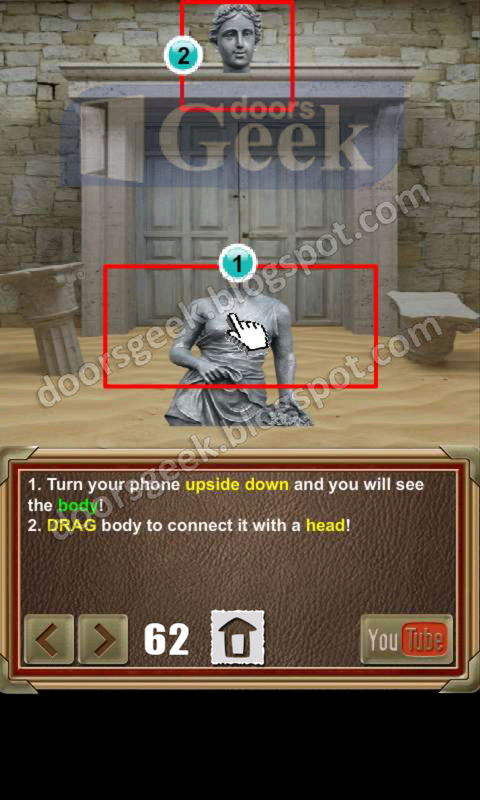 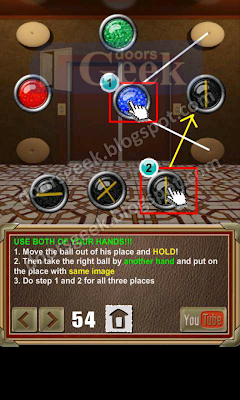 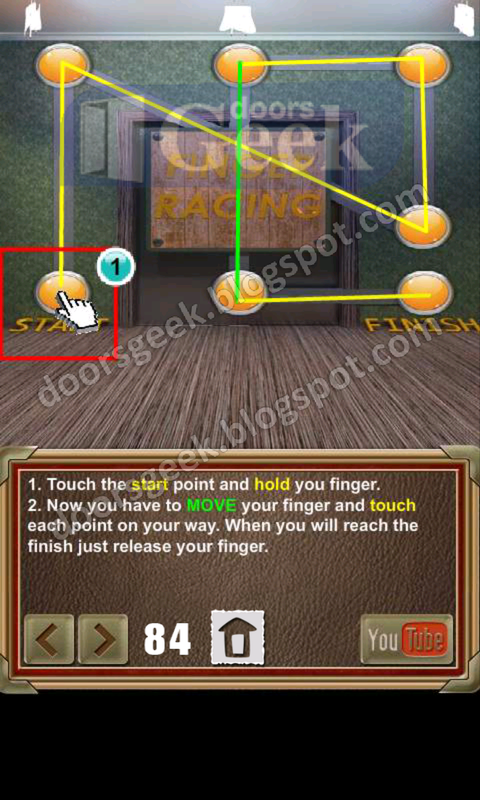 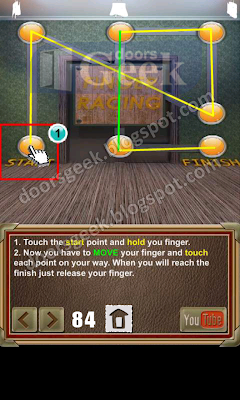 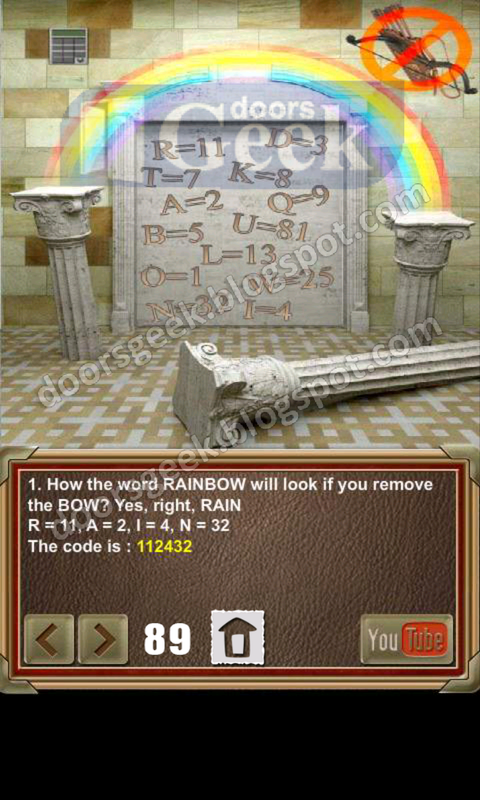 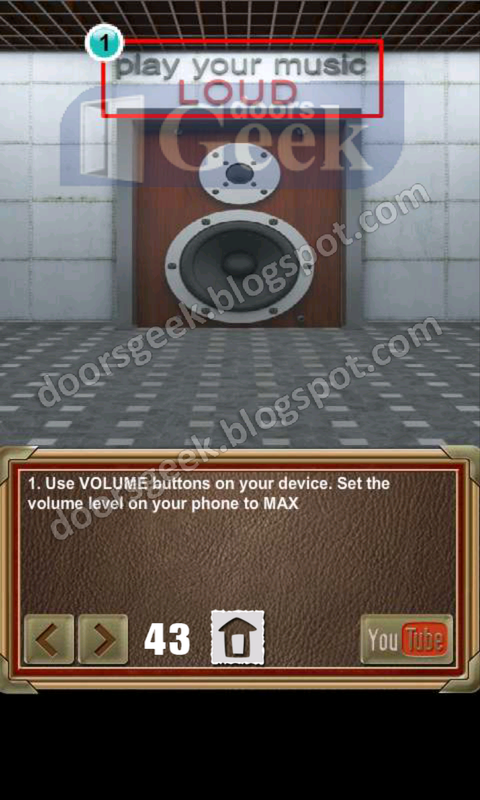 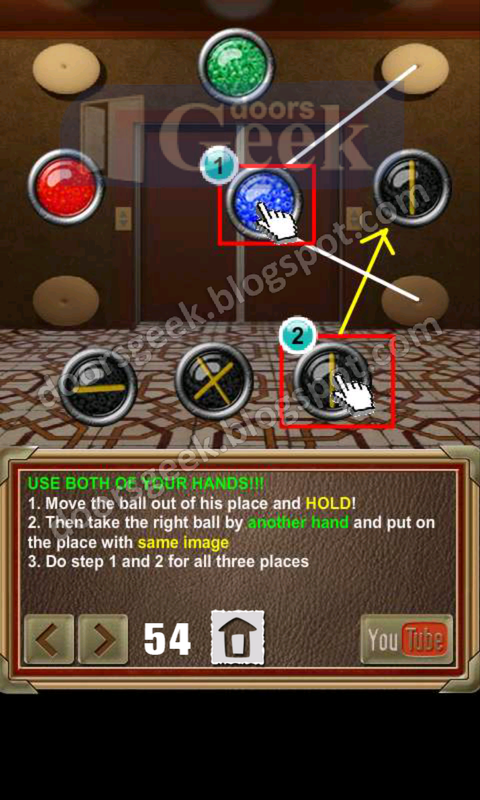 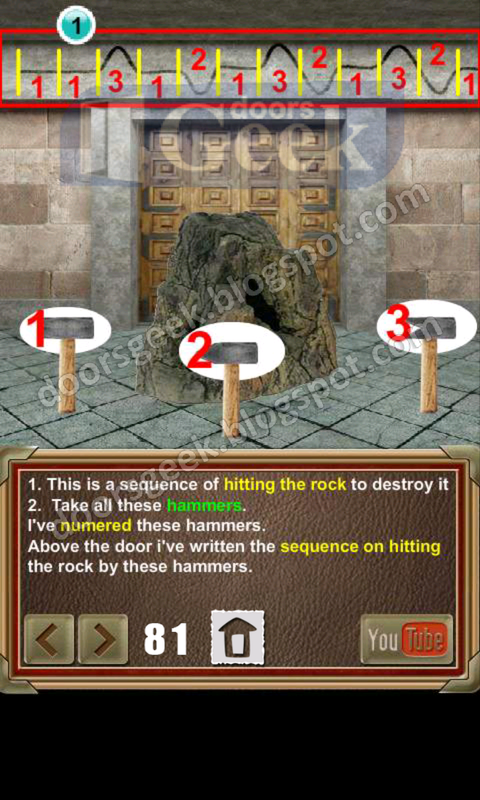 100 Doors of Revenge [Level 42] Answer, Cheats, Solution for Android, iPhone, iPad, iPod. 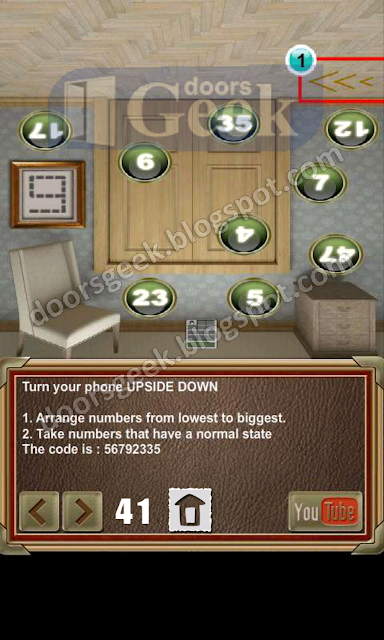 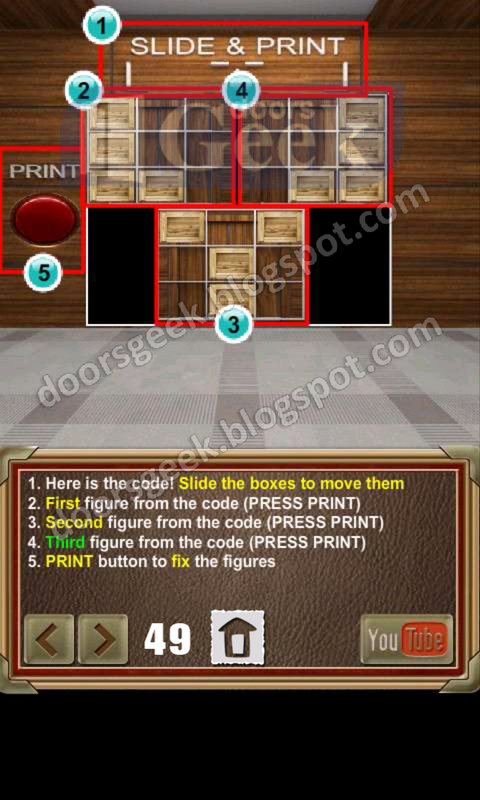 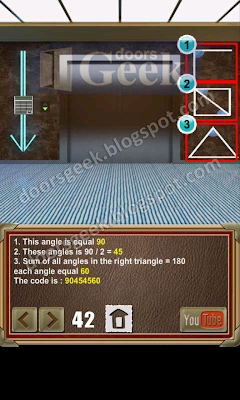 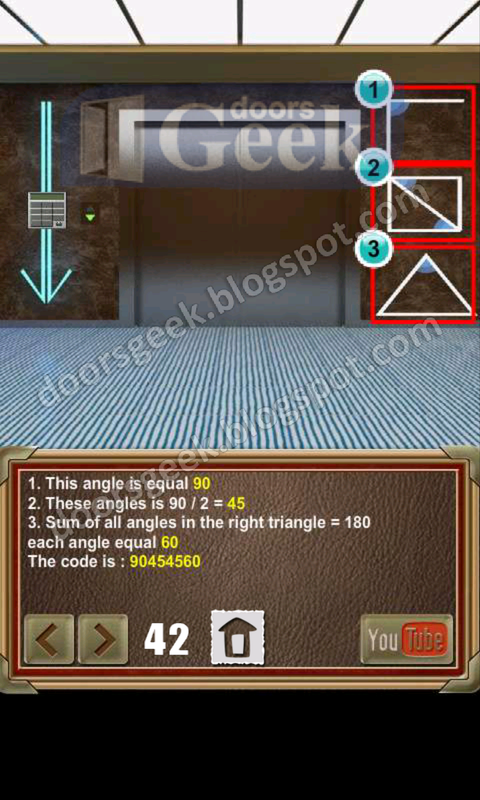 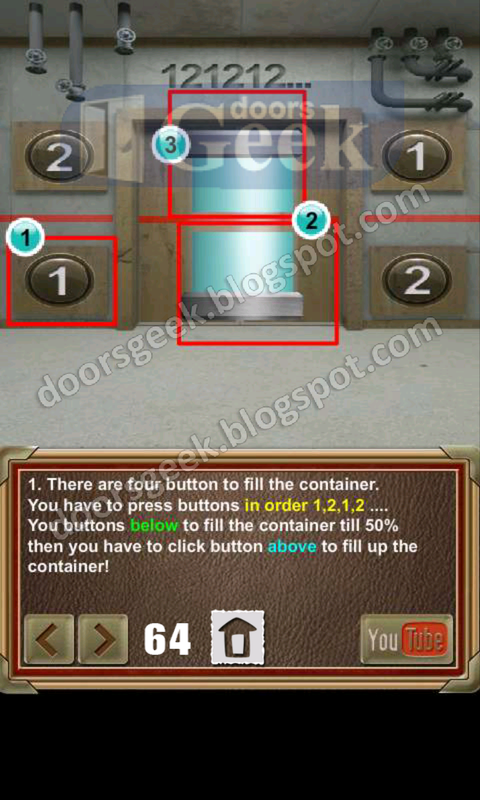 100 Doors of Revenge [Level 41] Answer, Cheats, Solution for Android, iPhone, iPad, iPod.